The Delta Drop® Family. The Delta Drop® Family. 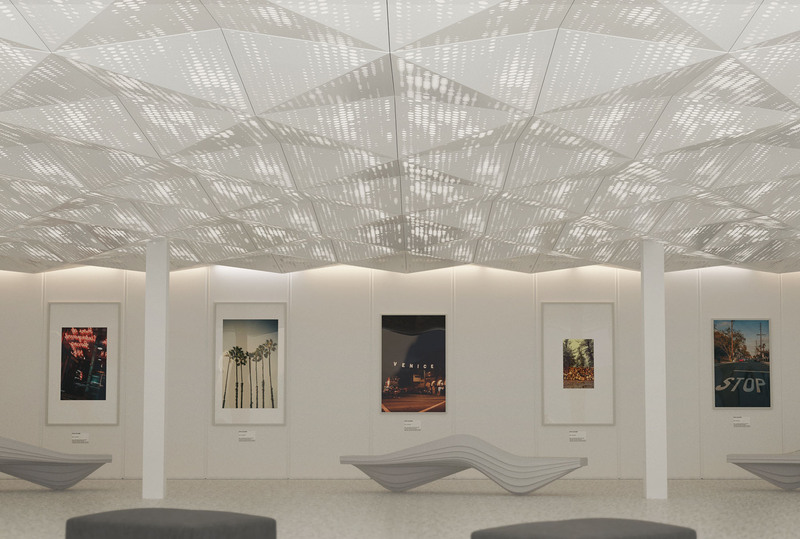 Delta Drop® uses faceted geometry to transform the visual possibilities for tiled ceiling systems. 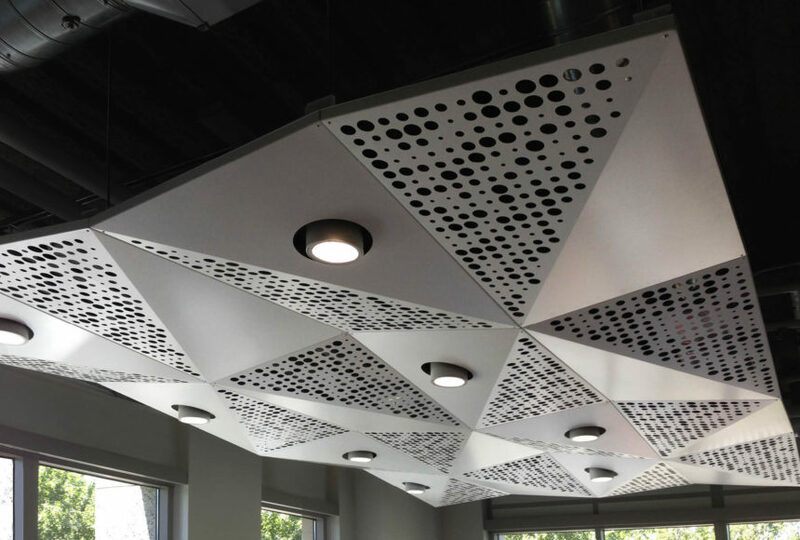 These preconfigured modules can achieve a variety of looks through variations in pattern, faceting, and panel size. Delta Drop® modules are predesigned panel size with highly configurable pattern options. Design your own graphic or choose from our style library to make each system fully tailored to your space. Delta Drop® products are preconfigured solutions designed with a dynamic array of criteria and effects. Choose from the many options in our library to uniquely impact your project. Transform your ceiling plane into a beautiful scrim layer of pattern, texture and form. Each ceiling product has been designed to utilize standard attachment grid systems allowing for easy installation and removal to access the infrastructure above. All of our Delta Drop® materials have a high proportion of recycled content and are fully recyclable. 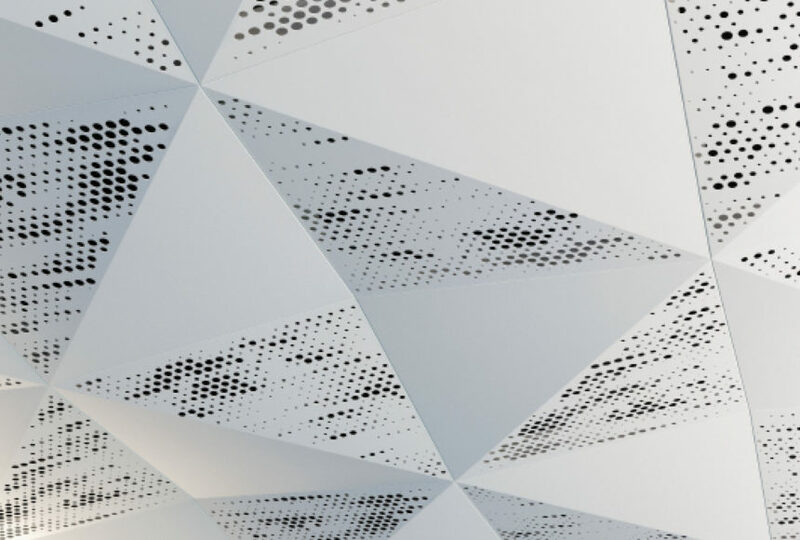 Find the right panel size and style – including full solid, half perforated, and fully patterned options - for your project. Panels are made available in a variety of colors. See our powder coat brochure for standard and premium options. Customized color matching is also available. Like all our Standard Systems, Delta Drop® is scalable by design. Select the amount of panels needed for your project. Optional - Add integrated lighting. 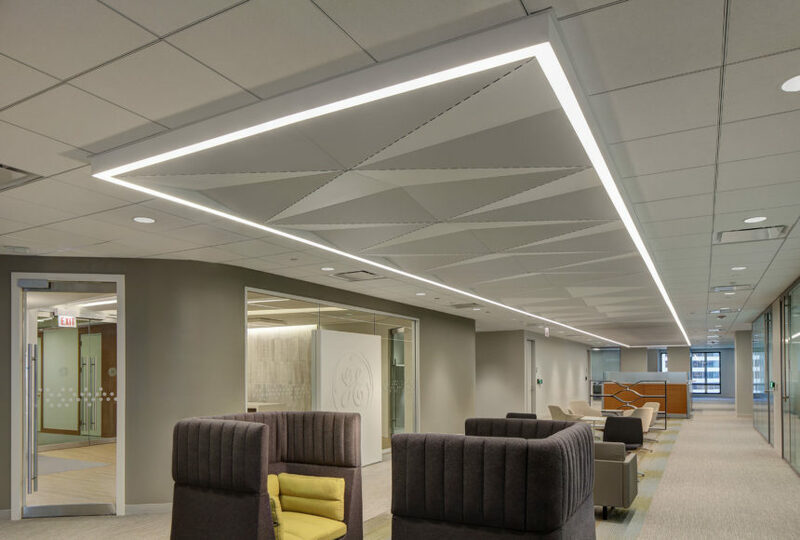 Our Delta Drop® Family makes it easy to incorporate seamless inline lights or dynamic backlighting, to add another dimension of functionality and visual interest to your project. Optional - Add backer panels. 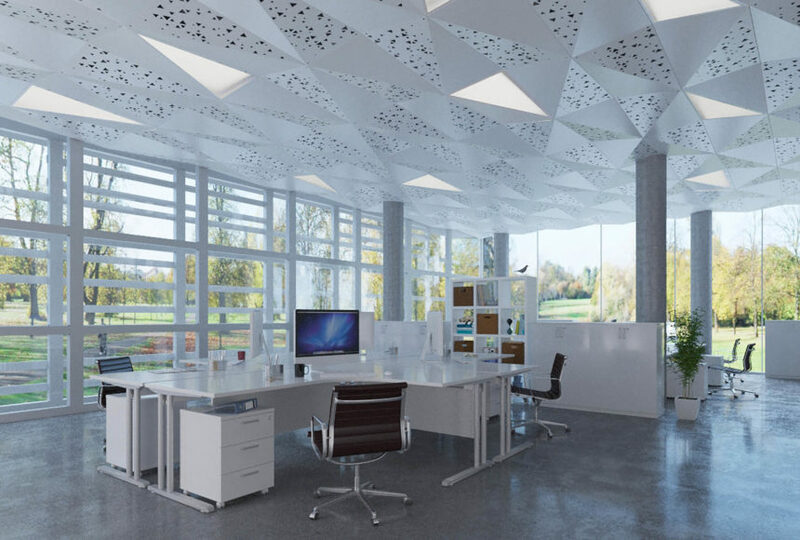 Incorporate available backers of frosted acrylic, for diffused lighting and other visual effects, or Arktura’s Soft Sound® acoustical material, to reduce the impact of noise across spaces.